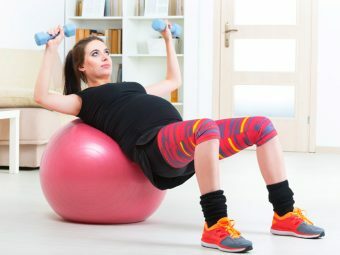 Can You Exercise After Having A C-Section? Did you have a baby recently? Congratulations!! Although birthing is a beautiful process, having a baby through C section or caesarean may trigger worries and questions in a new mommy’s mind. Most new moms know that post-operative recovery is also important for their own health. Whether you had C-section done, through a well informed and thought out decision or it was done as a result of the birth time complications, it takes a toll on your body. You need to give yourself time to recover and get back in shape. As a new mom, you would like to regain your old body and reclaim your way to your own clothes once you have had your bundle of joy. Obviously you can start to exercise, but the right time for when can you do yoga after C section or start to exercise or will depend on your recovery. A C-section is a big operation, which means loss of blood, cutting in muscles and stitching them back up. You will have to ensure that you let your incision heal and at the same time, let your stitches dissolve before you start or begin any kind of exercise. Women can start yoga after 6 to 8 weeks of having had their baby. This is a general outline, so before you engage in yoga or any other exercise, ensure that you consult your doctor about your own health and wellbeing, to gauge your body’s ability to undertake all kinds of physical stress, stretching and muscle pull. Once your doctor gives you a go-ahead, you can start with yoga. Since you have had a C-section, it is important to gauge their strength and healing. Start with simple breathing exercises when you start and do them for 2-3 weeks. Try pranayama and recite the “OM” mantra and Gayatrimantra as you can when you meditate. Caution: It is better if you learn the following asanas from a certified yoga practitioner and then continue doing them at the comfort of your home. Agnisaar for your stomach, Kandharasana for your pelvic area, Bhujanga Asana to strengthen your abdomen muscles and tone them. For your full body, try doing the upward leg extension with Urdhva Prasarita Padasana. Tadasana or mountain pose is great for your whole body. You can try this even when you are around your body to improve your own body control, gain strength and tone your muscles and improve blood flow and posture. You can also do the Bhujangasana or snake pose to lose the fat around your belly. If you are comfortable with the above asanas, you can also progress to tree pose or Vrksasana. It will tone your pelvic area and improve your body overall. Now that you have been comfortable with the normal asanas without much stress on the muscles and yet get desired results, you can try upper and more complex yoga poses like the Surya Namaskara. For all kinds of exercise and any complex exercises you plan to undertake post C-section, always remember to consult your doctor before you think of doing yoga after cesarean delivery. Also, pay attention to how your body responds to all kinds of yoga postures and stop if you feel too discomforted in any way. Have more effective yoga tips? Please do share them with us.